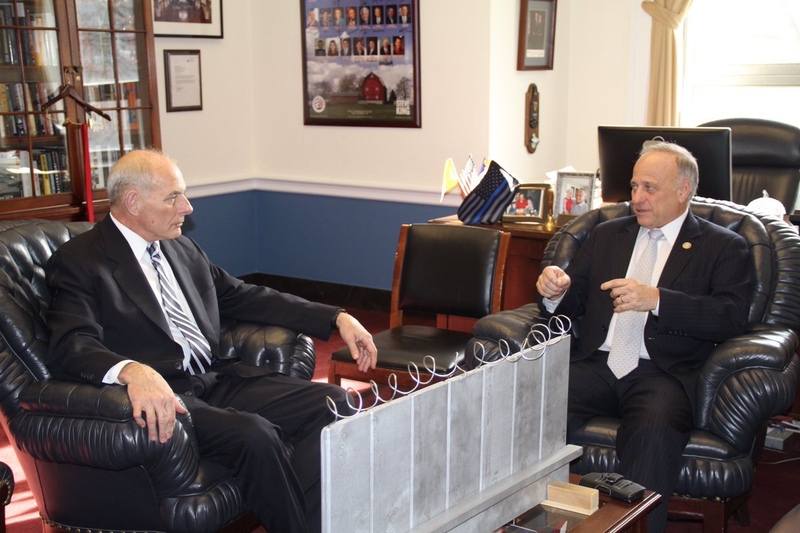 When Steve King speaks about preserving “Western culture” or “Western civilization,” along with an obsessive discussion of birthrates and abortion rates among different ethnic groups, those are all buzzwords, catchphrases of ideologies (aka “dog whistles”) that signal to White Nationalists support of their objectives. It’s a type of openly used coded language cloaked in public apparel that means something very different to them than it does to the casual hearer – people whom are often unfamiliar with white supremacists’ cliques and the codewords they use in public speech to identify themselves to one another. 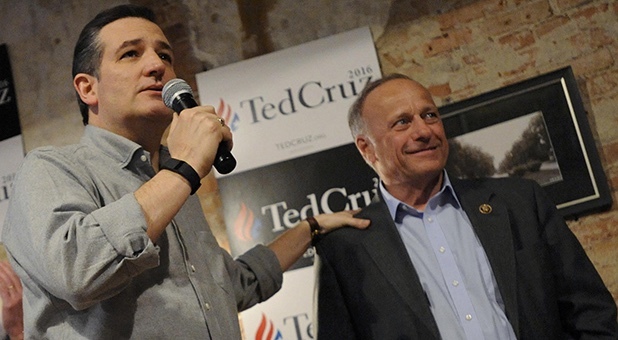 Texas US Senator Ted Cruz stumped for, and endorsed Iowa US Rep Steve King. Both men are Republicans. If one wonders where the resurgent wave of racism in our United States has come from, one need look no further than Steve King and Iowa. 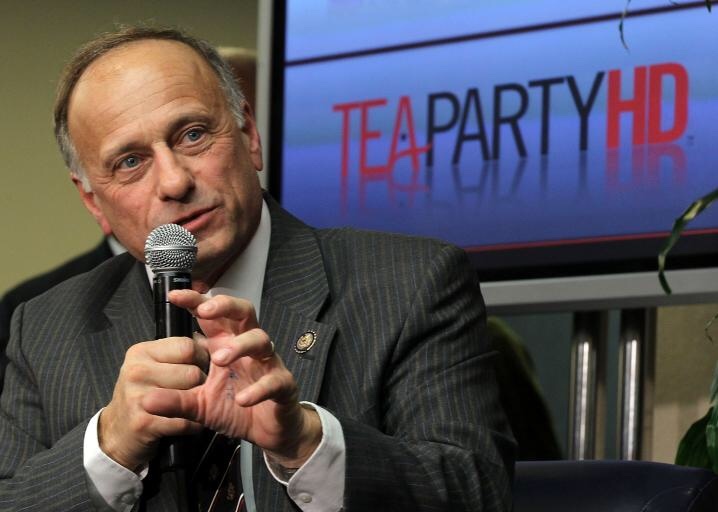 In their interview with Steve King, The New York Times noted that he related this story to them, that early in Trump’s term, he invited Steve King to the Oval Office — despite the fact that he had long been rejected by Republicans like then Speaker of the House John Boehner, and other traditional, centrist, moderate Republicans. 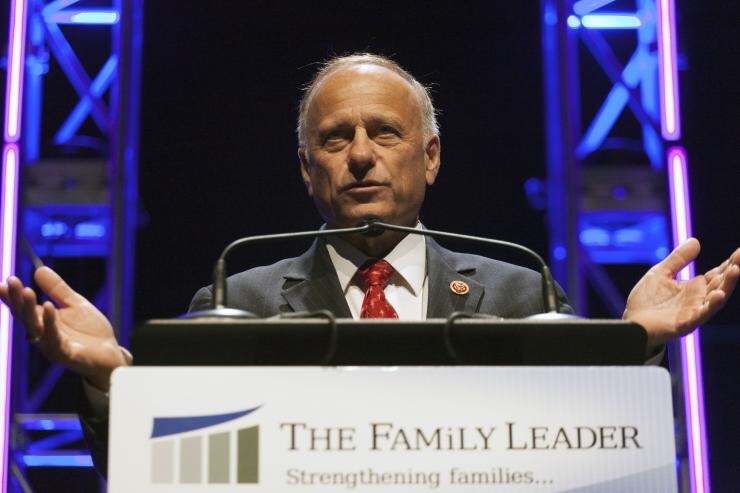 He recalled that while he was there, President Trump boasted of having raised more money for Steve King’s Congressional campaigns than anyone else, including during a 2014 visit to Iowa. 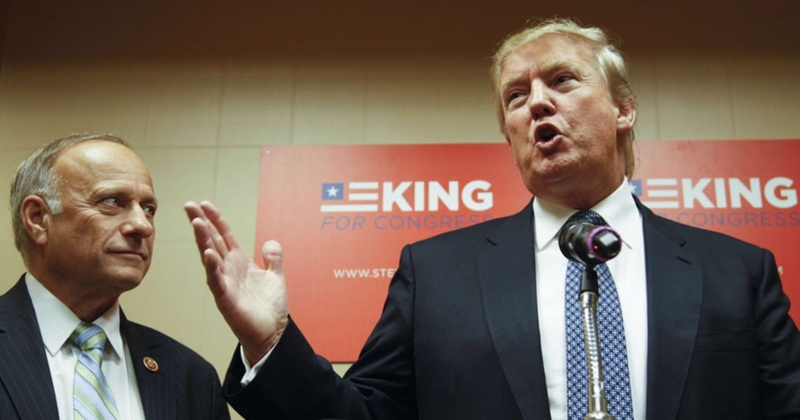 While the GOP presidential candidate field was winnowing out, Donald Trump stumped for Steve King’s re-election in Iowa. This entry was posted on Saturday, January 12, 2019 at 6:30 AM	and is filed under - Did they REALLY say that?, - Politics... that "dirty" little "game" that first begins in the home., - Read 'em and weep: The Daily News. Tagged: Congress, GOP, House of Representatives, Iowa, news, POTUS, racism, racist, Republican, Steve King, The Wall, Trump, White Supremacy. You can follow any responses to this entry through the RSS 2.0 feed. You can leave a response, or trackback from your own site.